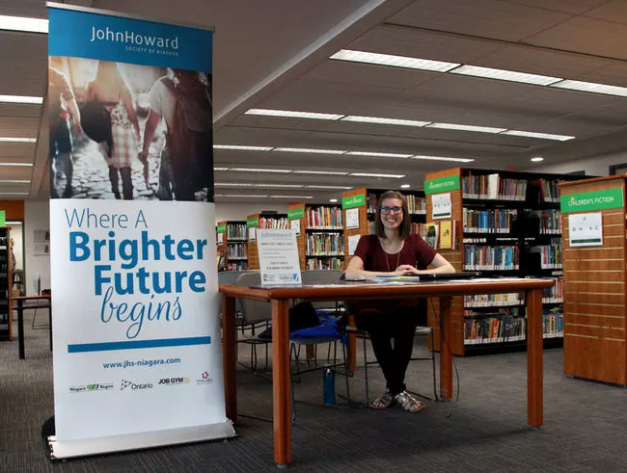 Welland and Pelham public libraries and the John Howard Society of Niagara have teamed up to promote community services and help strengthen family units. The partnership happened after Pelham Public Library sought out a partnership with Welland Public Library to figure out a way to make community services more well-known to the people who visit their locations. “Our staff observe people who may be in need, but they don’t always have the tools or knowledge of what services are available,” he said. Qingyi (Ken) Su said it’s much the same at Welland’s three branches, where upwards of 250,000 people visit each year. Su said he and Weaver agreed they had to search for a partner who could help them out because library staff are not experts with professional training in these areas. 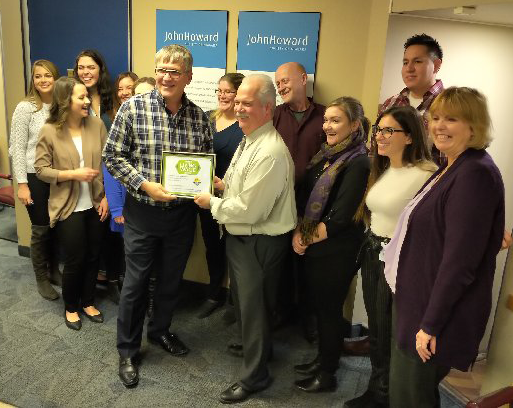 When they connected with the John Howard Society of Niagara, it was a perfect fit. John Howard Society of Niagara offers a number of programs, including the Strengthening Families for the Future program which helps families bridge communication barriers they might have. The program is funded through Niagara Prosperity Initiative and its material comes from the Centre for Addiction and Mental Health. Caroline Graham, youth services supervisor with John Howard Society of Niagara, said the program has never been in libraries before, even though it has been around for roughly 10 years. Jay Gemmell, executive director of the society, calls the partnership a “hand-in-glove” collaboration. “If you’re trying to break down some of the barriers to good communication with families, one of the most natural places to find them are hubs like libraries. Adults and youth walk in here for different reasons,” he said. Because of this partnership, now there is a resource for people to find information. Shanen Smith, program coordinator for Strengthening Families for the Future, will be at each of the library locations once a week for a few hours. She will have a table with pamphlets of information about different services in each area and she’ll also be able to answer questions and help direct people to services. Smith used to volunteer with the program and when the job opportunity became available, she jumped at the opportunity. She’s only been in the libraries for a couple of weeks, so she’s still trying to figure out the needs of each specific location, but she said she’s enjoying it. “I figure if it reaches even one person who didn’t want to come forward, but has a need for that services, then we’re doing something right,” she said. In the future she will be helping facilitate workshops at the different locations. Two that are being set up include a workshop about suicide prevention and another about learning disabilities. Information about those sessions will be available on the libraries’ websites, social media and newsletters, and Gemmell said they will likely be posted to John Howard’s JobGym website as well. Conversely, staff from the library will be attending a few sessions of the Strengthening Families for the Future program to help promote library use, too. Su said libraries are one of the few free public spaces left, and he’d love for people to know the diverse services libraries offer these days, including programming, multimedia rentals and community space. Gemmell said they have already been in speaking about how to get more funding for this partnership and ensure it continues. At present, it runs until mid-December and starts up again in January until April.